“For me each piece I create is a story in the making. I begin with an inspiration, something I've seen or often part of a dream. Sometimes it's just a group of colors that seem to niggle at my brain, teasing me to play with it. Once I begin to play the search begins for the story. Much like a writer working out a plot, a dialogue develops with the piece. For a long time, I didn't see the importance but recently I have begun including story cards with each piece I create that tells the essence Teachingof that particular story. It is then up to the viewer draw their own conclusions." Anne Nye studied fine art at the University of Idaho and California College of the Arts in the 60’s, completing course work for a BFA. She worked as a graphic designer and illustrator for many years and in 1997 began working as a full time artist. Since 2000, Anne has worked primarily on her own in kiln formed glass developing her painterly style and techniques, but recently studied under Narcissus Quagliata and Ted Sawyer and completed an invitational residency at Pilchuck under the direction of Steve Klein and Richard Parrish. Anne’s work is held in private collections in many parts of the world including the US, China, Korea, Japan, Australia and South Africa. Some highlights of her many commissions can be viewed on her website commissions page. 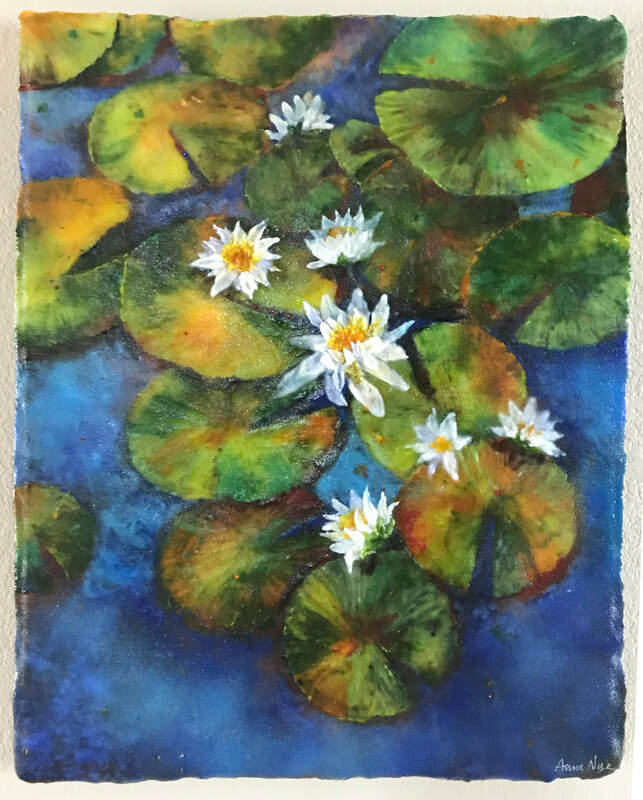 Anne’s work has been written up in several national magazines including Art Connoisseur and Western Art Collector as well as several local publications. She was a featured artist in Glass Art Magazine, July/August 2013. In the last few years, she has been in high demand as an instructor and has taught at Ed Hoy in Chicago, D&L Art Glass in Denver & Rainbow Artistic Glass in Omaha NE. She conducts select one-on-one mentoring/teaching workshops in her home studio in the small town of Florence, Arizona. Anne also has a large social network where glass artists from all over the world following her ‘kiln openings’.